Sugar detox is the best way to get rid of sugar addiction. Sugar is 8 times more addictive than cocaine (yup, sugar high) (1)! Although the WHO recommends consuming 6 teaspoons of sugar, most adults consume 22 teaspoons (or more!) and children consume about 34 teaspoons of sugar per day (2). As a result, children, young adults, and adults are prone to obesity, prediabetes, diabetes, heart disease, PCOS, etc. (3), (4), (5). 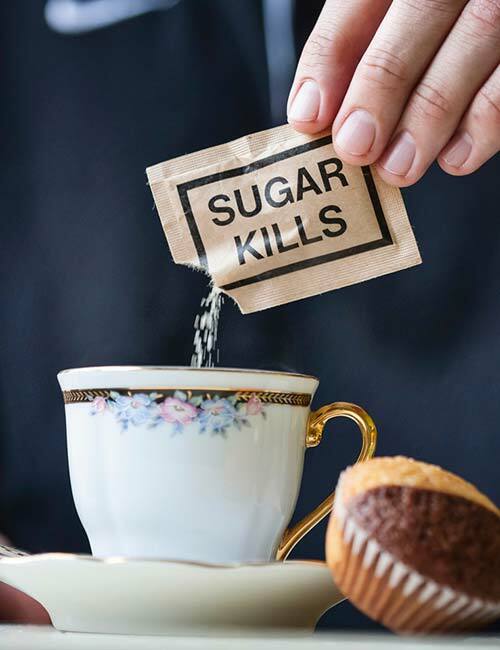 Clearly, sugar is the true embodiment of a “sweet poison.” This article discusses why sugar detox is important, ways to recover from sugar addiction, a sugar-detox meal plan, and more. Swipe up! Sugar detox is a strategic plan to help get over your sugar addiction. It helps reset your palate, lowers your blood sugar levels, puts a full stop to your processed food cravings, improves your blood lipid profile, and boosts brain and muscle function. The foods that you eat will look and taste good and satiate your physical and emotional hunger. And they do this while keeping your sugar intake per day in check. Sounds great, right? But unless you are motivated and committed, you will not be able to detoxify your system of sugar. The dangers of sugar addiction are perfect to give you the final push. Scroll down. Right after consuming a sugary food (ice cream, chocolate, pancake, or waffle), you feel amazing. But the impact sugar has on your body is dangerous. Scientists have found that it triggers the same neurological pathways as drugs (6). Obesity – This is the first impact of sugar overconsumption. When there is too much sugar in your body, and you lead a sedentary or moderately active lifestyle, the extra sugar gets stored as fat. It starts with subcutaneous fat, and then, the sugar gets converted to fat and is stored in the central region and the organs (visceral fat). This is when your health starts to go south. Prediabetes/Diabetes – High blood sugar leads to insulin resistance. As a result, the cells in your body are unable to use the available glucose. This, in turn, triggers more food/sugar uptake, thereby raising the sugar levels. The end result of this dangerous cycle – prediabetes and diabetes. Increased LDL Cholesterol – Overconsumption of sugar causes obesity. And obesity increases the LDL cholesterol levels. LDL cholesterol causes plaques in the arteries and puts you at the risk of heart attack. PCOS And Infertility – Polycystic ovaries have become the new normal for women of reproductive age. And the main reason is our poor lifestyle choices – including mindless consumption of sugar-loaded foods in different forms. 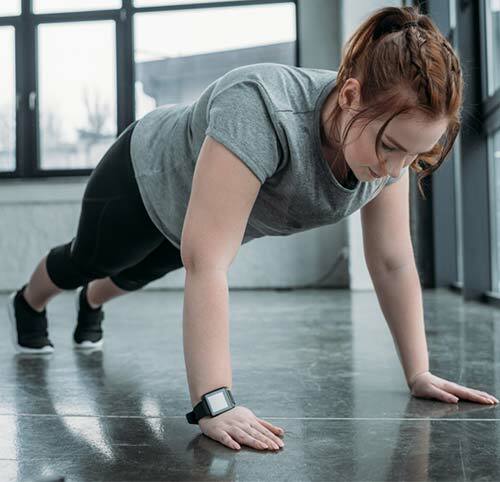 This leads to obesity and insulin resistance, which, in turn, cause hormonal imbalance in the body and lead to the formation of multiple cysts in the ovaries. 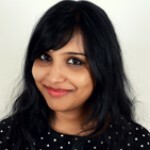 Irregular periods, facial hair, male-pattern abdominal fat, etc. are symptoms of PCOs. And when left untreated, this can lead to infertility in women. Depression – And you thought sugar helps you feel better! Consuming too much sugar is linked to depression. And that’s because the “feel good” hormones may kick in when you consume a sugary treat, but that feeling subsides soon after, and your real problems remain real. You end up eating some more, and yet, the problem does not go away. This way, you will gain weight – another major reason women feel self-conscious and depressed. So, now you understand why sugar is called a drug. This temporary relief might seem to make all your problems vanish, only to cause a hundred more physical and mental health issues. But we all know that it is really very difficult to give up sugar. Let’s find out why quitting sugar is as difficult as quitting smoking. Once you are hooked on to sugar, it is very difficult to quit. And that’s because, like alcohol, cigarettes or a drug, you become emotionally dependent on sugar to feel better – be it a piece of chocolate, a cupcake, a bagel, or hot chocolate. And as mentioned before, sugar tends to tickle the neurobiological pathways that some drugs do. You will suffer physically and mentally if you don’t find a sugar-laden food when you are craving for it. In fact, when you try to quit sugar, you will experience sugar withdrawal symptoms, such as headache, anger, physical pain, and mood swings. And this will make you go back to the old ways. That said, if you want and focus on what you want, nothing can stop you. 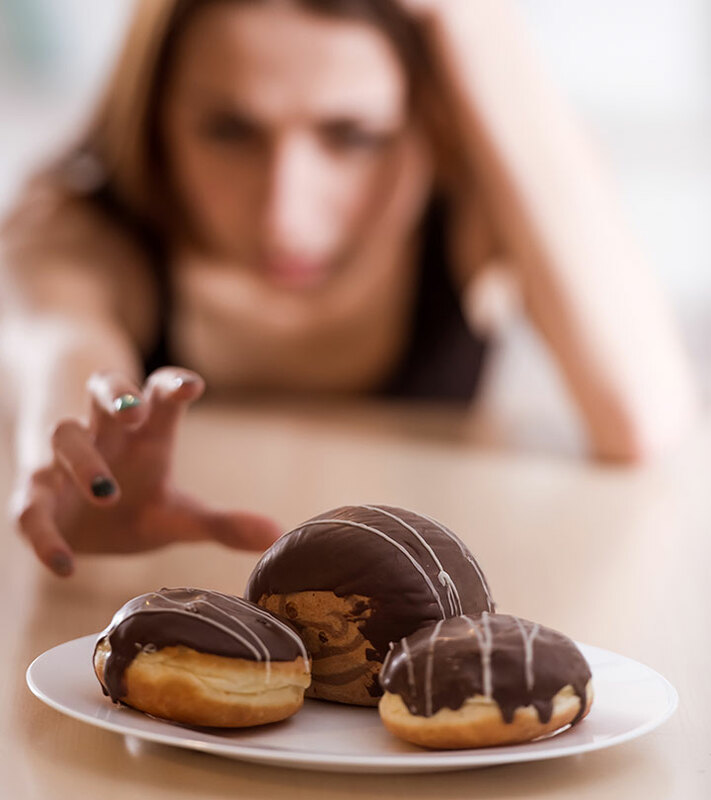 Make up your mind and with the right mindset, try the following 10 ways to go on a sugar detox. Yup! Unless you clear your kitchen cabinets, fridge, and “emergency” sugary treat hiding places, you will not be able to go on a sugar detox. Out of sight, out of mind actually holds true for sugar detox and weight loss. 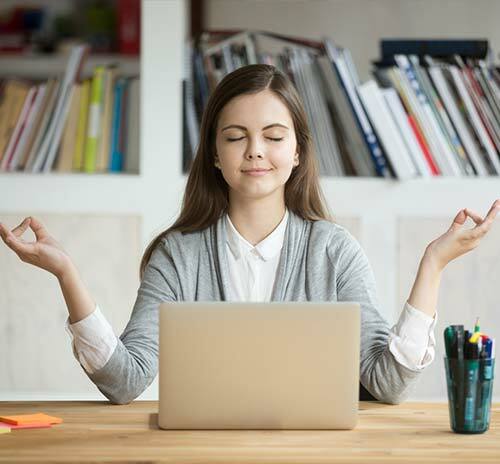 When you do not have foods containing excess sugar at home (or at work), you will have no other way but to stick to low-sugar and low-cal foods. And this is the first step. Donate the foods you have in your kitchen. Restock it with fresh veggies, fruits (low GI), nuts, beans, lean meat, fish, eggs, full-fat milk, and full-fat yogurt. When you are trying to get rid of sugar addiction, you must also watch what you are drinking. And that’s because packaged fruit and vegetable juices, sports drinks, energy drinks, and soda are loaded with sugar. You may think that you are drinking “fruit juice.” But, make sure you check the label and see how much sugar you are consuming. Instead, drink water, detox water, freshly pressed fruit/vegetable juices, cold-pressed juices, tender coconut water, smoothies, or buttermilk. 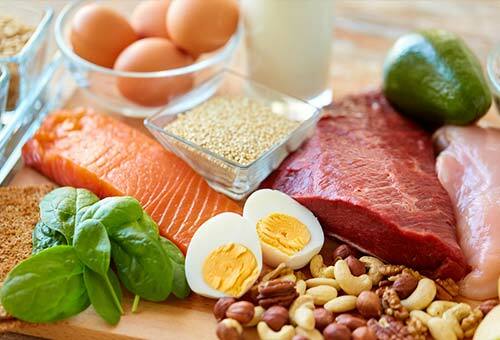 Proteins are tough to digest and hence take longer to get absorbed by the body. This, in turn, helps you feel satiated for a long duration. So, add a source of lean protein to every meal. For breakfast, you can have eggs, milk, or yogurt. Snack can include a few in-shell pistachios. Lunch and dinner may have chicken breast, fish, mushroom, lentils, or beans. 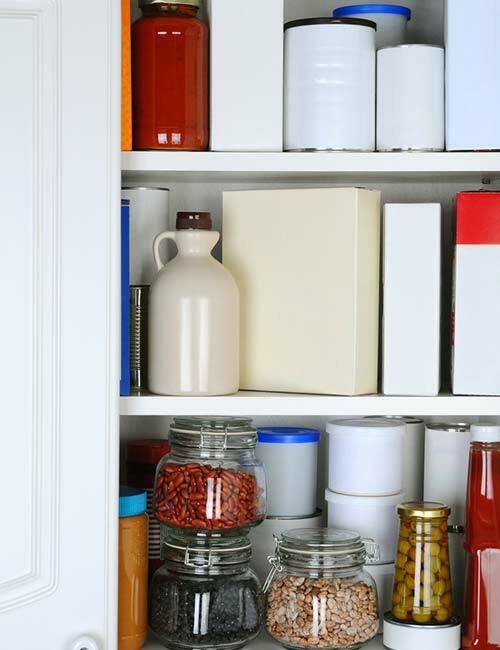 When you are full, you will be less likely to feel hungry again and search your kitchen cupboards for food that is either sweet or has some form of sugar in it. Carbs are good as long as they are complex carbs. Dietary fiber is a complex carb that is found in veggies, fruits, grains, seeds, and nuts. Like protein, you must add dietary fiber to your breakfast, lunch, dinner, and snack. Dietary fiber increases your satiety level, improves the number and types of good gut bacteria, and prevents fat absorption by encapsulating the fat molecules. In fact, if you are craving for sugar, have a fruit or 4 almonds or 10 in-shell pistachios. These will help you feel full without loading up on sugar. 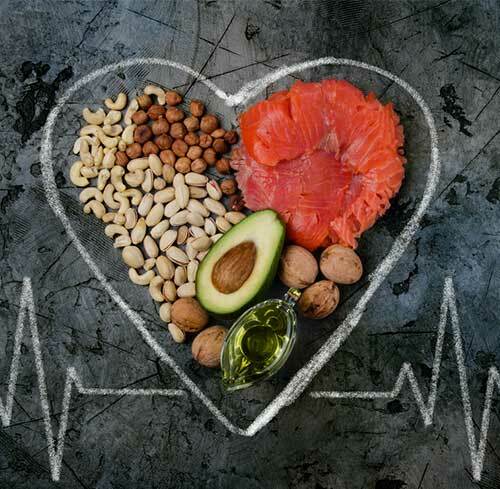 Healthy fats help reduce inflammation, thereby reducing the chances of inflammation-induced weight gain. Also, consuming healthy fats will keep you satiated, prevent you from munching junk or sugary foods, improve skin and hair quality, and boost brain function. A few examples of healthy fats are olive oil, fish oil, avocado oil, avocado, rice bran oil, coconut oil, flaxseed oil, chia seed oil, peanut butter, and sunflower seed butter. However, do not consume these in excess. Also, avoid unhealthy fats like animal fat, butter, margarine, canola oil, hemp seed oil, etc. Snacking is very important. It keeps your metabolism firing and prevents you from feeling weak and sluggish. You can have low GI fruits, carrot and hummus, green tea, black coffee, multigrain biscuit, yogurt and fruit, or homemade granola bars as snacks instead of the sugary and high-calorie ones available in the market. Stress can make you an emotional eater. This means that whenever you feel worried, anxious, or depressed, you will reach out for sugar-loaded foods to feel better. Well, the truth is, your problem will not be solved, and you will gain weight. So, understand yourself to know what triggers a stress response in you. 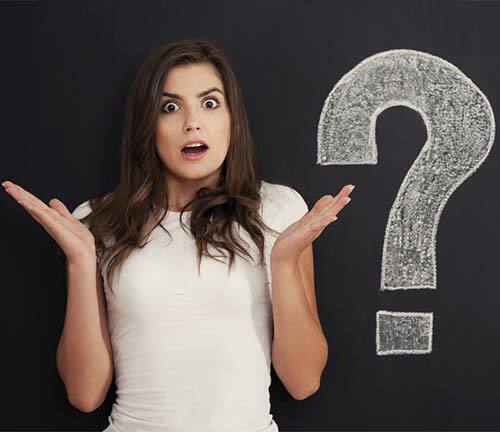 Is it work, a friend, the diet you are following or a new place? By identifying your triggers, you will be able to avoid these situations and control your sugar cravings. Sleep deprivation causes obesity and increases your stress levels. So, you must get at least 6 hours of sleep. It will help you flush out toxins, prevent you from eating emotionally, and improve your overall health. All the emotional eating will go out the window if you start exercising. No kidding! You must workout to not only release stress but also get rid of the excess sugar that is stored as fat in your body. Do a mixed workout of three days of cardio and two days of strength training. This will help you shed the flab as well as build lean muscle mass and make you look slender and toned. 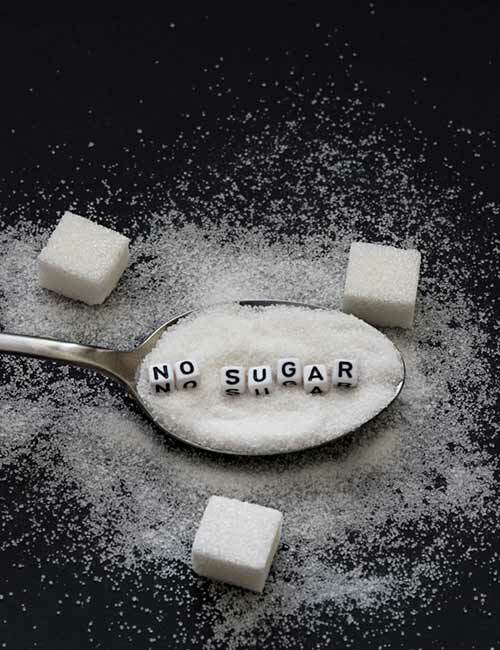 These are proven ways to get rid of your sugar addiction. But it’s a different game when it comes to implementing them. Don’t worry, here is a week’s meal plan to guide you into a no sugar food habit. All you have to do is follow #1 (Kitchen detox) and then follow these meal plans for 10 days. So, you see, this is not so tough only if you put your mind to it. Now, let’s talk about the benefits of quitting sugar. To conclude, get rid of all types of sugar from your home. Take baby steps to improve your health. Eat mindfully and workout regularly, and you will see a visible difference in your physical and mental health. Take care!